This volume provides a well grounded review of knowledge around women's lives as well as proposals for their further enhancement. It is a compilation of essays by women scholars and activists who belong to the women's movement. They include historians, lawyers, journalists, scholars and activists. The essays interrogate women's status from the Perspective of legal frameworks, politices on employment education, historical narrative, special sections of society, inequalities and regional characteristics. 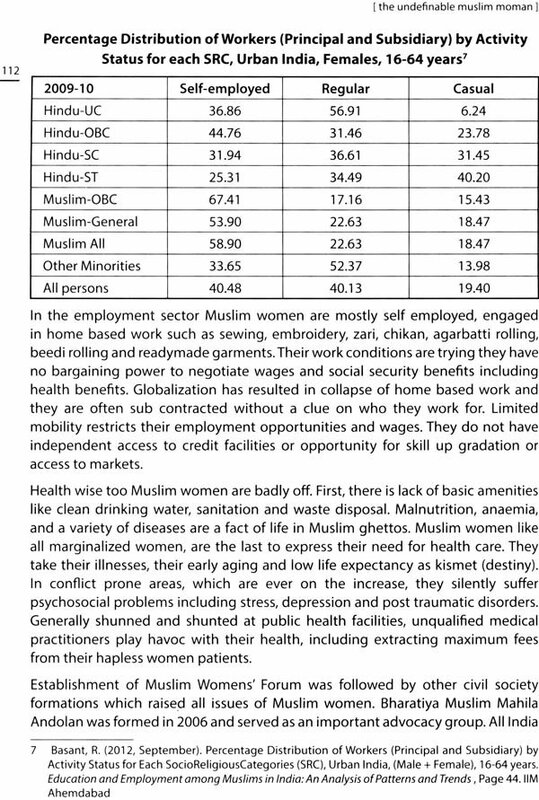 They cover a range of topics, from women's legal entitlements to the roles and aspirations of Muslim, Dalit and working class women. Overall, the book displays hands on experience, erudition, analysis and evaluation. The papers are not located in any one particular theoretical, philosophical or political framework. 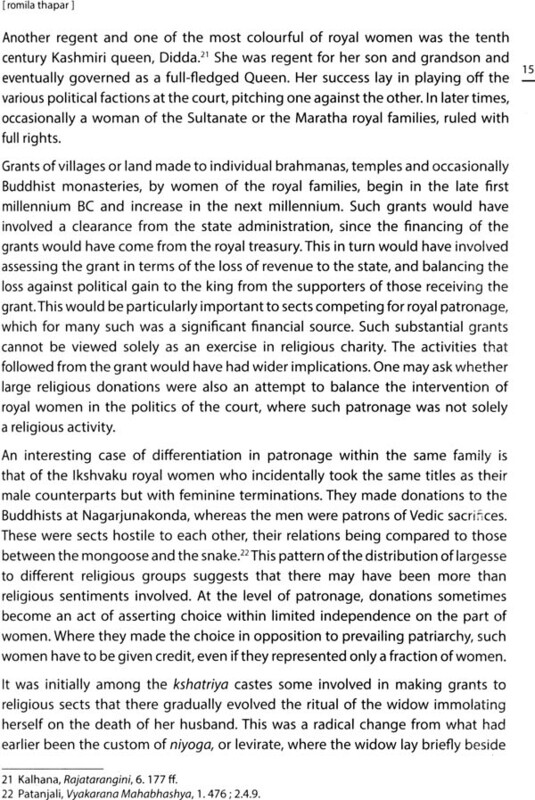 Devaki Jain is a feminist writer, with a track record in development economics. She was Lecturer in Economics at Delhi University and later the founding Director of the institute of social studies Trust. She has been a member of the South Commission. Currently, she is on the Board of Management of the National institute of Advanced studies Bangalore, as well as the Gandhigram Institute Deemed University in Madurai and Adjunct fellow of the Delhi Policy Group. This volume of thirteen essays, has drawn pictures, reflected on the Content and highlighted the journeys of Indian women in the last and the present century. The Volume recounts their situations and their experiences, both negative and positive. The situations which women experience and the battles they have to fight are manifold and variegated, showing the dappled colors that paint the length and breadth of the Country. 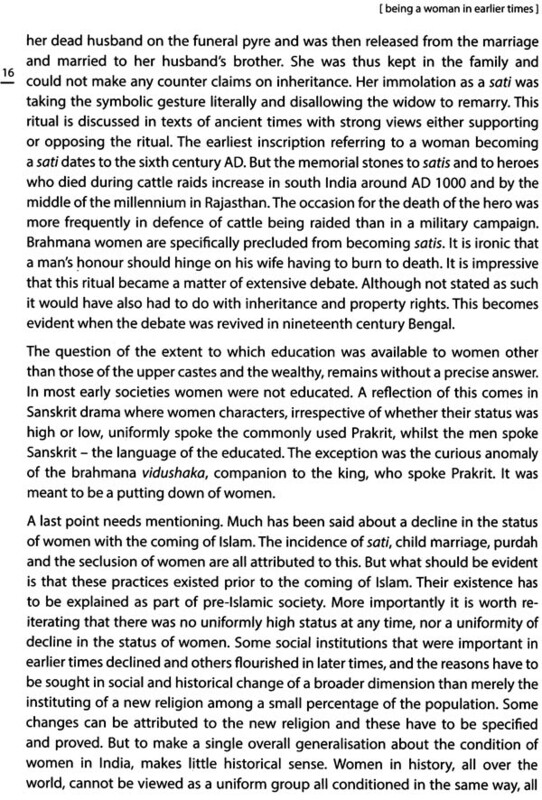 The writers of the essays are well known to the public the vast majority of them are women and they Include academicians, Journalists, teachers, statisticians, bureaucrats, economists, lawyers, women activists' et al. Some of the writers are young, with the early flush and energy of youth; others are those who have gained insights and perceptions from years of leaning, experiences and knowledge. 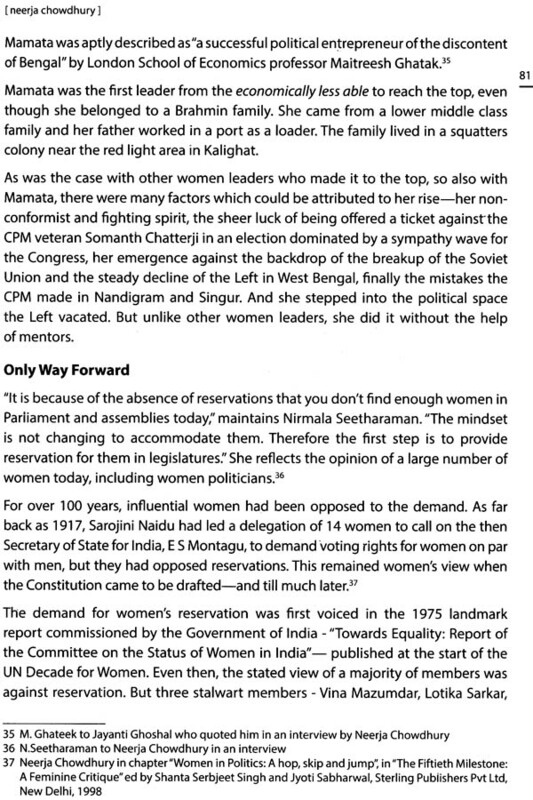 The essays reflect the continuing dynamism and the energy of the Indian women’s movements over the last women's decades' since 1975. The themes of the essays relate to equality and inequality, power and powerlessness, discrimination and poverty; they show changing political and economic landscapes and how these scenarios are impacting on Indian women – equally or differently. 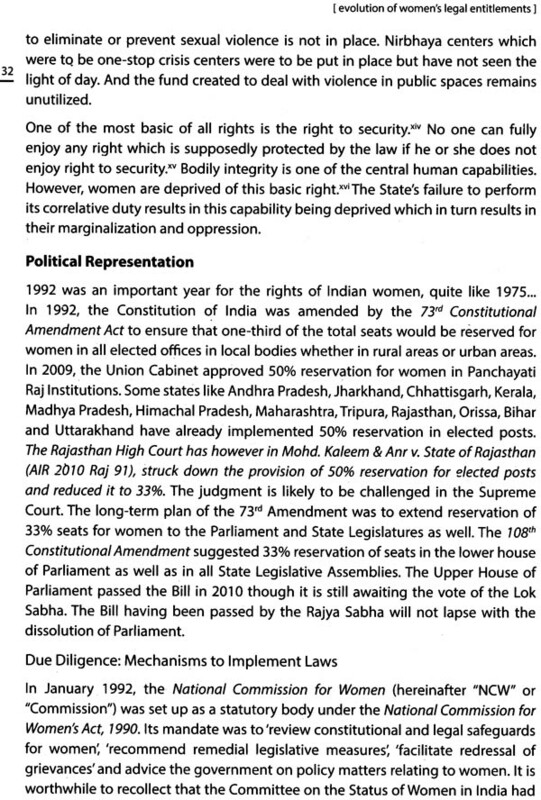 Some of the essays are critical of the institutional mechanisms of Indian governance (such as those that deal with the laws or with status of dalit women) while others question the on – going defaults in systems as well as policies. One of the essays creates an imaginary woman, based on several real life women, describing their lives and thoughts of many decades ago, to show up the contrast between that world and the present day would as far as its women are concerned. We also see here that women have often had to struggle to retain their space and simultaneously to build up and enlarge their voices. 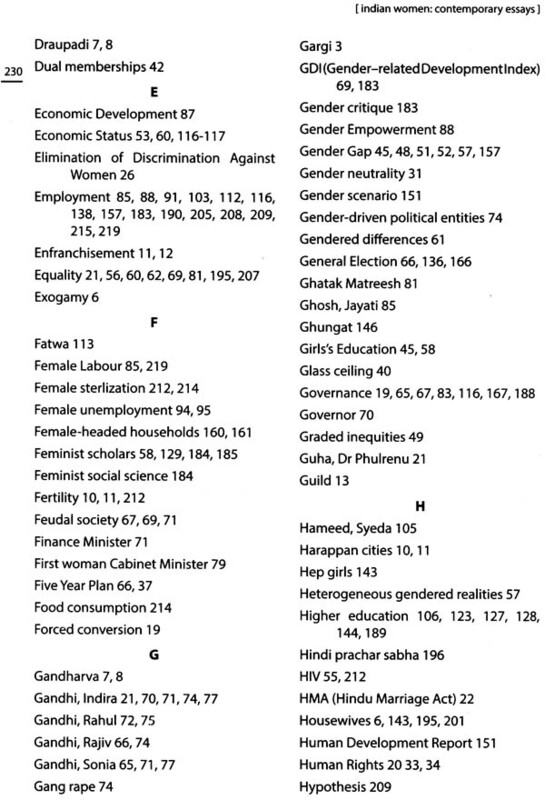 An earlier volume of essays on women was published in 1975 by the Government of India, Ministry of Information and Broadcasting. The Present volume is the next, thus switching from an earlier time to the present day. In the interregnum there have been serious challenges, drastic changes and many defaults in systems and policies. A Second volume of essays, tracing the present day situation of the country, therefore, needed to be brought out. The New challenges of the 21th century are now absorbing the time and interests or researchers and activists. This has resulted in this publication. 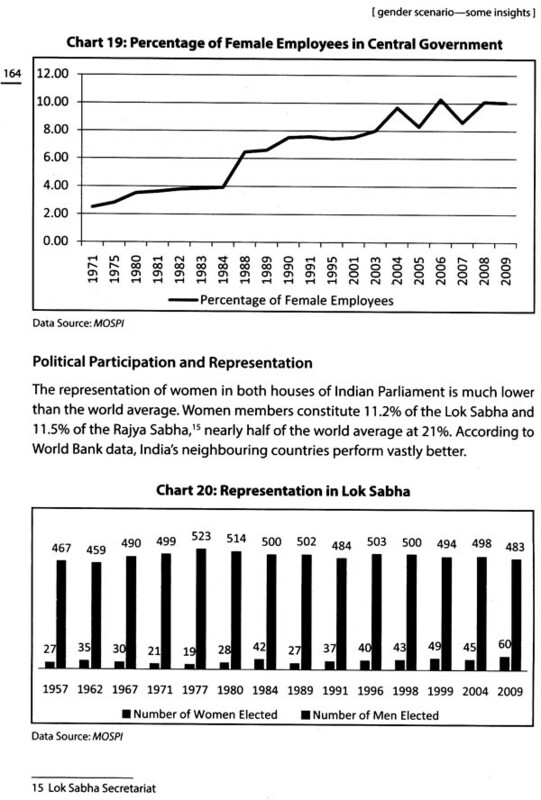 Recognition of gender equality in the 1970's by the Indian state is now resulting in greater confidence of women to claim new spaces. But even while gender equality has been increasingly accepted, Slowly but surely, there have been new challenges from time to time. 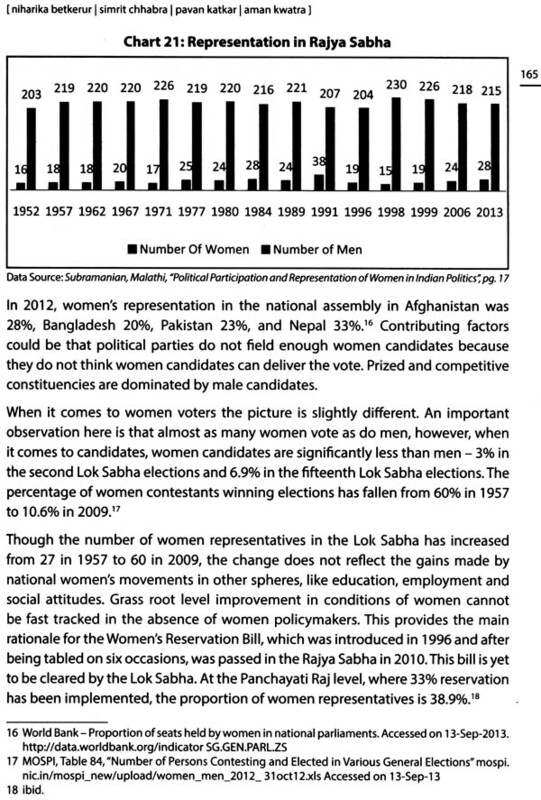 The present bunch of essays dissect many current issues such as women's legal entitlements, violence against women, political representation and legislative powers of women, successes and failures in schooling and education of Girls and women, the heavy burden of poor women's work along with the social discrimination they are subjected to, the negative positive situation of women belonging to minorities in a patriarchal system of governance, the sorry situation of dalit women (who constitute almost 17 percent of the total numbers of Indian women) and their economic and social status, especially in unclean occupations, et al. 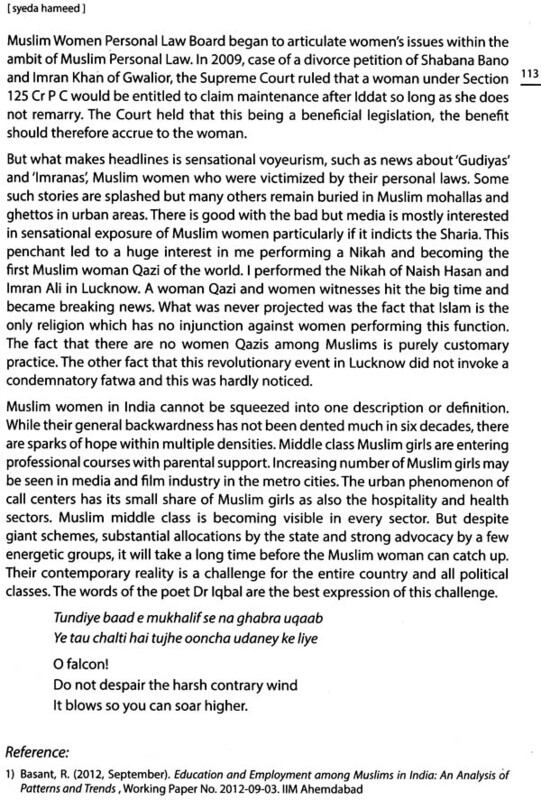 The book also has vignettes of inter generational changes that have taken place and are still taking place, among women and girls in big cities as well as small towns, in issues such as education, age at marriage and independence of girls. We see these changes over time, especially of those girls and women who are now (over time) more competitive and therefore chose to work to work for a career after marriage; also, going in for professional subjects such as computer sciences or media, unlike in the past. In earlier years, such groups of young girls and women, especially their mothers, had been satisfied with girls going to school for a few years; neither were mothers and fathers insistent that they should study further and take up jobs. Marriage was the be – all and the end – all of their existence. 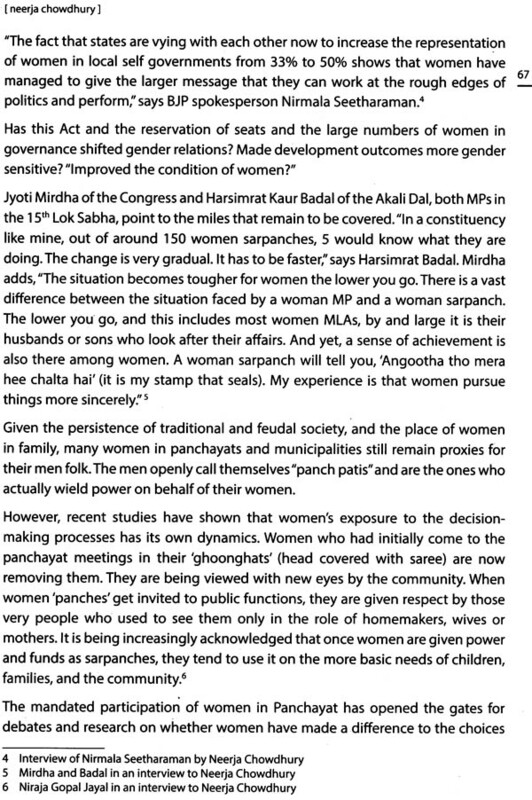 it is well understood that women are not homogeneous – as for example the differences between dalit and adivasi women on the one hand and forward caste women, rich women and poor women, etc., on the other. The essays in this volume respond to these aspects by highlighting the several and specific situations of women and the historical baggage of gender relations in Indian Society. 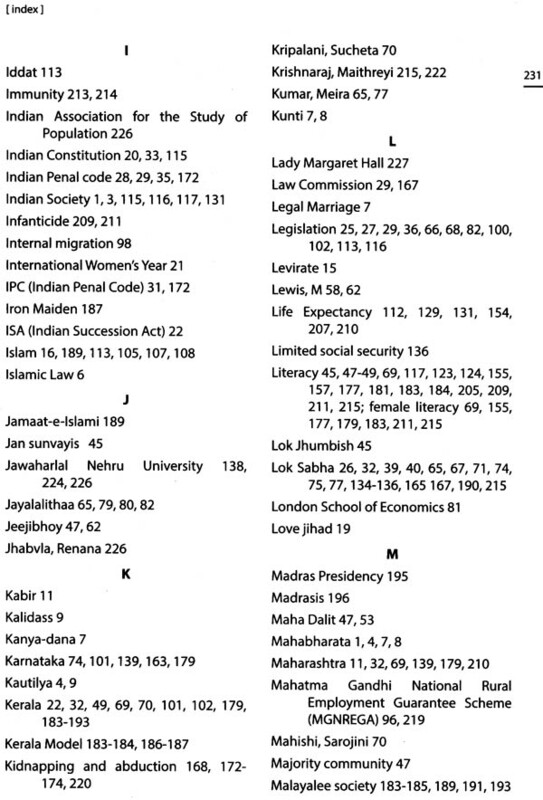 in the same year that the earlier book on Indian women was published, in 1975, (40 years), a "Committee on the Status of Women in India" set up the Government of India, had published its findings; this then had led to a new map of enquiry into subject of Indian women. 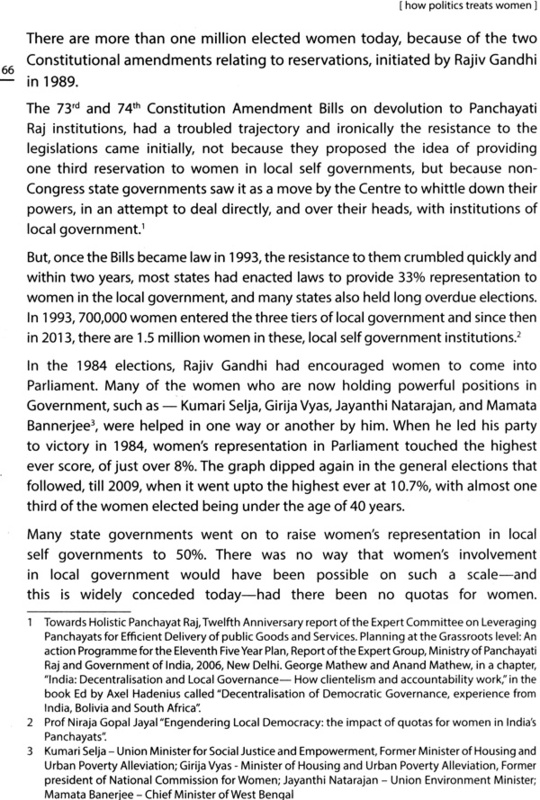 The earlier book of the publications Division and the Committee's report titled 'Towards Equality' put together had created new synergies; as a coincidence the current women's movement in India was born at this time.